and other ordinary materials to create a technically complex character. Children from the audience are invited on stage to manipulate some of the puppets. 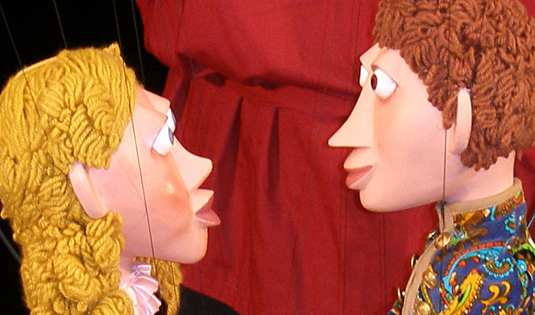 the show presents a broad overview of the world of puppetry. has been a hallmark of the Puppet Arts Theatre for many years now. One free adult ticket with each group of ten children. Call 601 977 9840 for information or ticket reservation. the Mississippi Arts Commission and the National Endowment for the Arts.